In winter, cold winds become brisker, your morning showers get hotter and the central heating cranks up, seeing skin take on an altogether blotchier tone. To temper redness in the dash from bathroom to train to muggy office, swap thick foundations for Stila CC Color Correcting Cream, £27, which corrects at all levels of flush. The clever base neutralises a would-be pink dappled face, cuts out the need for touch-ups, and injects the same glow that the weather is trying to starve you of. Turning to your tanning hues in winter may feel counterintuitive, but their tawniness is the very thing to remedy ruddy tones. When it might feel tempting to daub pinky hues over sun-starved pallors, grab a bronzer one shade darker than your skin tone and swirl it into the apples of your cheeks. The warmth detracts from cold-induced redness before it has a chance to show. If skin is dry, be sure to bronze with a cream instead of a powder formula. Braids are best when the weather is at its worst, so opt for head-hugging styles that invite the wind and rain to be as rebellious as they please. Halo or Heidi braids won’t blow around, tuck easily under a hood, and can be lacquered up with hairspray to defy any dampness in the air. Best of all, flyaways fit right in on a textured ‘do like this, so the breeze works with your style. 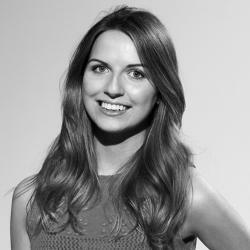 Finish with a misting of Rahua Defining Hair Spray, £39. To stop static from spoiling your style, you’ll need a triple-pronged approach. Begin in the bedroom by sleeping on silk pillowcases that won’t roughen up the strands’ cuticles, then ready your hair before you run for the bus with a spritz of hairspray swept through on a natural bristle brush. Finally, pop dryer sheets (the same ones that fragrance your laundry) in your handbag for on-the go touch-ups. Simply glide one over the mid-lengths when the cool air sees frizz kicking in. The berry lip. It’s as much a prerequisite of frosty weather as a cosy, cashmere scarf, a pair of boots and a renewed fondness for hot cider. However, while it can dial up the sparkle of teeth like no other lip colour, mouths must be scrupulously scrubbed to achieve the full, brightening effect. 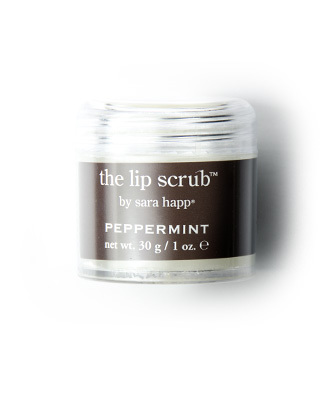 Buff lips with Sara Happ Peppermint Lip Scrub, £19, to dislodge any pigment-jarring flakes, and the pop of peppermint will plump, refresh and create a smooth canvas for colour. The cooler light that comes creeping in over the winter months boasts a bluish tone which morphs warm lip colours, meaning you won’t get the true pigment you see in the tube. Swap out orange-toned lipsticks and swathe your mouth in tints with a blue undertone instead. They won’t alter when you step outside, so you know that the shade you applied in the mirror is the shade you’re wearing. Another downside of that cool, blue light: it enhances the purple of your under-eyes, so even if you’re well-rested you may look a touch fatigued. 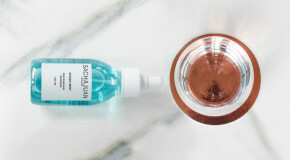 To cover them up, you want a product that is concentrated but not too cakey, because – sorry, more bad news – winter can leave the thin skin around your eyes looking parched. 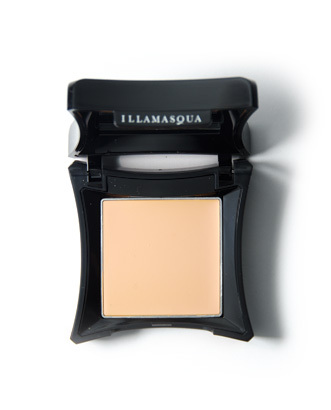 Illamasqua Skin Base Lift, £18, is a concealer that ticks both of those boxes, combining high coverage with a fresh, dewy and seamless finish at its finest. Bring your waterproof products out of their post-summer retirement when the chill picks up, and your streak-free under-eyes will thank you for it. 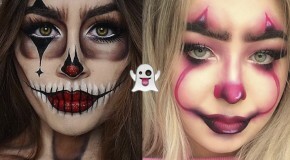 Peepers perpetually stream when it’s windy outside, so plump for resistant pigments in your makeup, and stick to upper-lid looks, like an ever-flattering feline flick. 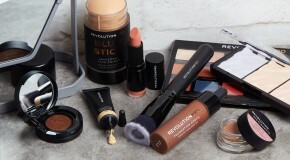 You can breathe life back into a depths-of-winter complexion by using a highlighter to lend a glossy sheen to cheekbones, lids and the Cupid’s Bow. 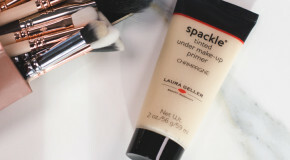 The desired look is more kiss of dew than frosted Ice Queen, so eschew shimmer powders for a glitter-free, sheer cream you can tap over dullness – like the RMS Living Luminizer, £30. The dinky pot holds all you need for a pretty, hyper-real freshness that looks less like makeup and more like naturally healthy, polished skin. Which is what we want, right? The ultimate ‘throw it up’ do, this is one for too-early mornings or post-downpour that secures every hair, requires minimal teasing, and stays up with the aid of a donut. Wind-coifed wispy bits only add to the modern, off-duty feel of this style, so you needn’t worry if the breeze threatens to loosen a few face-framing strands.